How Do You Sell 60 Million Pounds of Fajitas a Year? Here’s how brands can use sound to enhance their emotional impact on consumers. Common wisdom has it that humans are visual creatures. It follows, then, that there are millions of visual trademarks—logos, brand identities, colors—but only a few trademarked sounds. A new book, Sonic Boom by Joel Beckerman and Tyler Gray, makes a compelling case for why this underappreciated aural territory is the next big thing. The fact is that your brain is constantly listening, and much of the time, you won’t even notice the influence that a sound is having on you. Something as simple as a commercial jingle from your childhood can u-turn you right down memory lane, setting off a ripple of powerful reactions in your brain. The right sound at the right time has the power to trigger memories and emotions that can change an experience. The instant that this transformation occurs is what Beckerman and Gray call the Sonic Boom Moment. Think about the sounds you hear eating dinner at a Chili’s restaurant. You can expect to hear talking, laughing, and tinkling glasses and silverware. But think harder. The first thing that you’re likely to hear at a Chili’s is the sound of fajitas sizzling on that trademark metal platter. 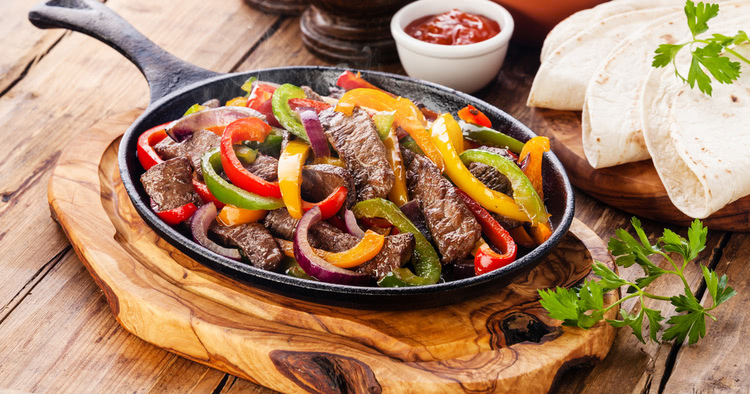 That trademark sizzle grabs your attention and triggers many senses: you hear the pops and sizzles of cooking meat, you see the smoke and smell the aroma of charred peppers and blackened onions. This is what authors Joel Beckerman and Tyler Gray call the sonic boom moment—and it might already have your mouth watering. If so, you’re not alone: this Pavlovian instinct allows Chili’s restaurants to sell over 60 million pounds of fajitas a year. But sound can also guide us in subtler ways: Researchers Clare Caldwell and Sally A. Hibbert found that people spent almost fifteen minutes longer in a restaurant when slower-tempo music is playing than when higher-tempo music is, because the slower music makes them feel relaxed. W Hotels cashed in on this phenomenon as part of their plan for making relaxation the first association customers have with their brand. They did it by playing ambient background music across the hotel: in the restaurant, poolside, and in every room for the first check-in. In this way the music covers the noise from the street and gives a sensation of isolation from everyday life, making customers feel relaxed and special. Building a sonic brand identity helped Chili’s give consumers a fuller experience by creating an atmosphere with sound. W Hotels use sound to reinforce their identity as a quiet oasis, a home away from home. Just as much as a logo, the sound of fajitas triggered a host of brand associations. But unlike a logo, sound is also much more able to trigger an emotional response. Bottom line, it pays to find your sizzle. If you’re rebranding or looking to build a more emotionally gripping experience for a new product, consider making a sonic trademark part of the final package. Joel Beckerman and Tyler Gray’s Sonic Boom shows how sound can become an integral part of a brand experience. You can also read the book’s key insights on Blinkist – it’ll only take 9 minutes!